DIY Plumbing - What is Legal? Home » Building » Minor Building Work » DIY Plumbing-What is Legal. Do you know that almost all the municipalities now require a plumbing COC (Certificate of Compliance) before they will approve the sale of any house in their area. The question is what DIY plumbing work can you do yourself that is legal and will not affecr your COC? Plumbing affects our lives more than many of us realize. We need the water supply (so we can drink, and wash and clean ourselves, our homes and our belongings); to get rid of waste and sewage; and we need to be able to channel water away from the house and in addition to make use of water in the garden. While plumbing in our homes and other buildings must be installed by a qualified and registered plumber, there are plumbing projects that you can do yourself. Most of these tasks relate to maintenance, and by taking the DIY plumbing route, you can save yourself a lot of money. But you do need to know how to do the job correctly, and be sure that you are not contravening the law. Once the plumbing system has been installed, with a little savvy any homeowner will be able to keep it going and make minor upgrades like changing tap (or faucet) washers, flushing out blocked drains, and even changing tap valves and tap parts. Seemingly more complicated plumbing-related projects will entail installing new showers and shower sets; removing old sinks or basins and fitting new ones; possibly even replacing an old bath in the bathroom. You may also want to replace shower mixers and shower heads in the bathroom, or tap mixers in the bathroom or kitchen. If you buy good quality products from companies like Cobra or Delta, they will usually include DIY instructions. First of all, for both health and safety reasons, nobody without a plumbing qualification may install a plumbing system. It is also essential that only qualified and registered plumbers install hot water cylinders. For how long is a qualified plumber’s work usually guaranteed for a brand new home? I really don’t know. Perhaps someone at IOPSA can advise. Can Polycop pipe be used for hot and cold water supply in a house. Hi John, Polycop is only for cold water, but they do now make one for hot water ask at your plumbing supplier. A solar geyser (water heater) is one of the options. 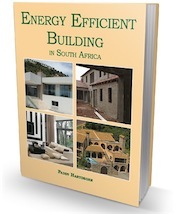 In terms of hot water supply Requirements for water installations in buildings shall be in accordance with SANS 10252-1 (that governs installation) and SANS 10254 (2012) that governs geysers – “This standard applies to all water heaters that fall within the scope of SANS 151, including the storage tanks of solar water heaters that fall within the scope of SANS 1307, and the storage tanks for heat pump systems.” It details all the allowable options. But you’d be best off with a solar geyser. Hi guys just want to get some clarity on Plumbing that you can actually do yourself legally. I am busy extending my house building myself. (moving the kitchen & adding new bathroom and bedroom.) do i need to get an approved plumber to do the new water pipes to the new relevant rooms or can I do this myself as I have experience in this. Adding to this i am also relocating my gulley to the other side of the house, as i understand only complete new systems have to be pressure tested that connects to your main line. I will only add a joint to my existing line that is still in my yard. Must this new section be pressure tested? 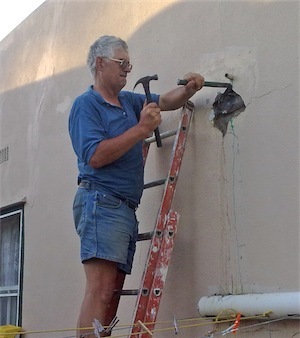 All plumbing must be done by a qualified and registered plumber who will sign off the work. You could do some of the work yourself, but only if a plumber oversees and approves what you do. I am not in position to advise on pressure testing. I plan to owner build a small house in the Western Cape in a few months time. If I understand it correctly, it would not be acceptable if I install the new water pipes myself (excluding the geyser and external work like the municipal connection)? It will be a timber frame construction. All plumbing work should be done by a qualified, registered plumber. You might be able to do some of the work yourself, but you will have to have it overseen by a qualified, registered plumber who would ultimately sign off the work and take responsibility for it. This would obviously reduce the cost. The same applies to electrics. The fact that the house will be timber frame makes no difference. Hi, I want to buy myself a erf and develop it. With it I also want to build extra flats on the erf. How many sewer connections are allowed for a 800m^2 size erf? Pieter I suggest you find out if you are allowed to build flats on the property. There are density issues that are linked to zoning (local authority by-laws). 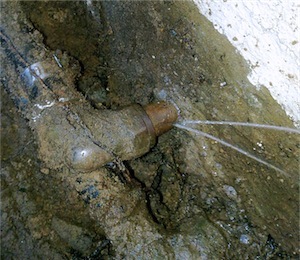 It is not simply a matter of allowable sewer connections.